With so many options to choose from, parents are always left wondering which products are the best ones for their babies. It is the same case with diapers as well. Now, parents have one less thing to worry about as we are going to help you pick out the best diapers. Take a look at what the perfect diaper must have. 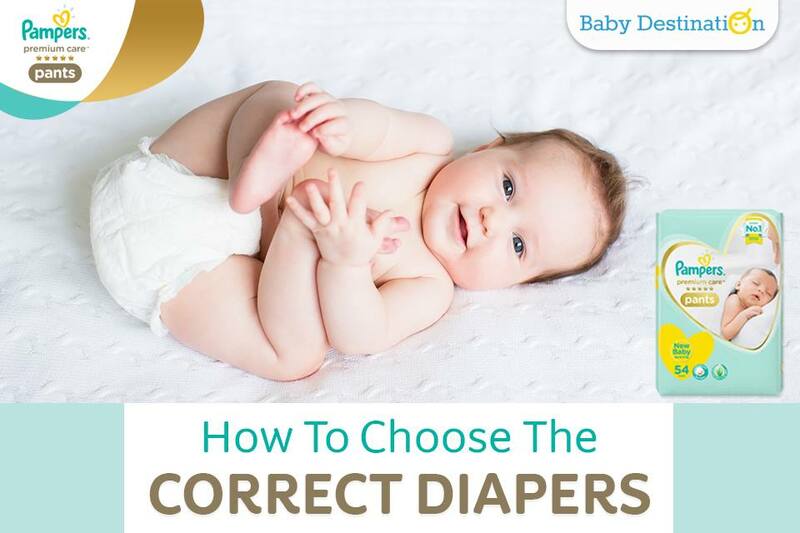 This is how to choose the correct diapers. As a baby’s skin is 3 times thinner than an adult’s, it is prone to dry skin and rashes. 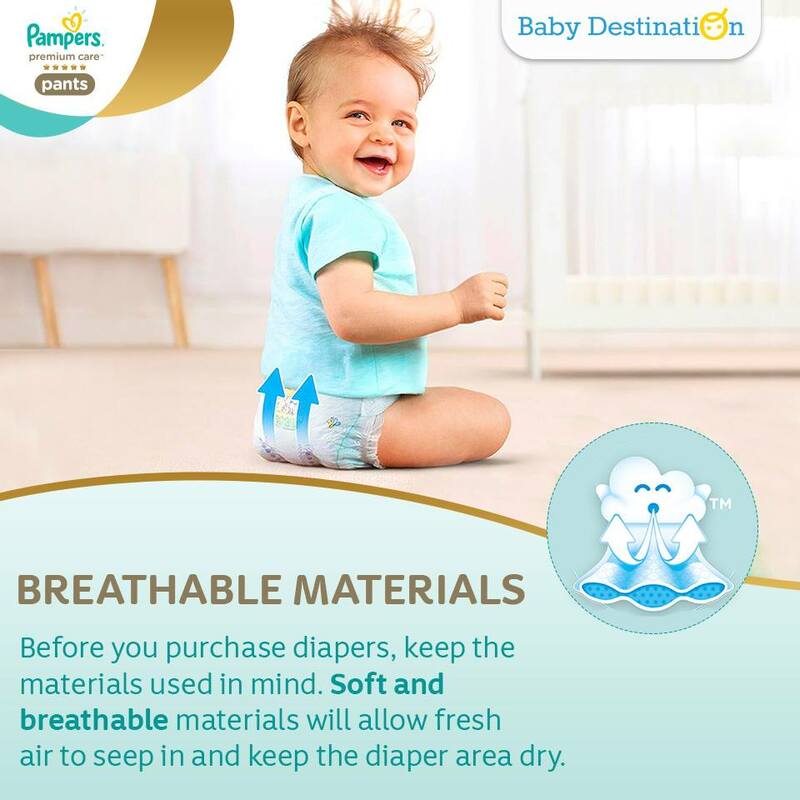 Pampers Premium Care Diapers are made of the softest materials. This is one of the most important points in how to choose the correct diapers. Always choose diapers that have 3 air channels. It helps in distributing wetness evenly and locks it away. This keeps your baby’s skin healthy and supple. Choose a diaper that is coated with a mild baby lotion that is infused with aloe vera gel. This will protect your baby’s sensitive skin. Before you purchase diapers, keep the materials used in mind. Soft and breathable materials will allow fresh air to seep in and keep the diaper area dry. Leaving a baby in a soiled diaper for long periods of time causes rashes and skin problems. 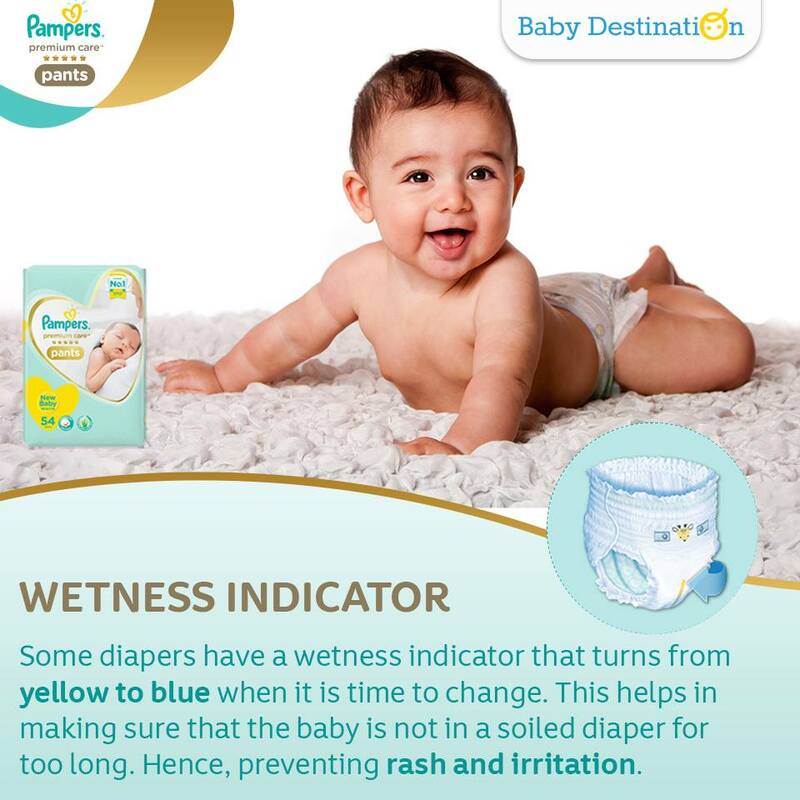 The indicator in the diaper will turn from yellow to blue when it is time for a change. Pampers Premium Care diapers come with a disposal tape which helps in easy-disposal of the diaper. 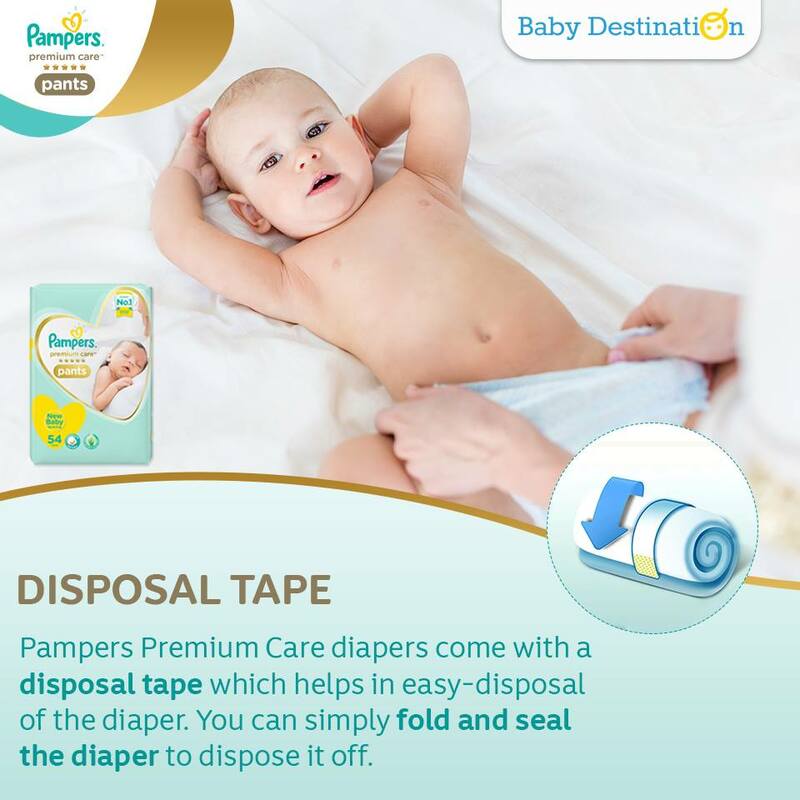 You can simply fold and seal the diaper to dispose it off.